Update 1.7: Now writing on number supports voice. Update 1.6: Fixed crashing issue. Update 1.5: Fixed back button issue. Update 1.4: Now writing on numbers will be more smoother. Update 1.1 : Now you can turn on or off random to let the counting number come randomly. 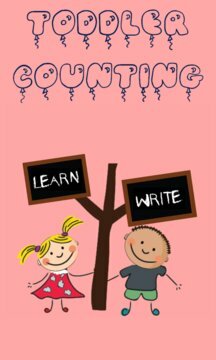 This is must have app for toddlers to learn counting with help of Mother's voice. It helps child to learn counting skill faster. 1. Application start with option of Learn and Write. 2. 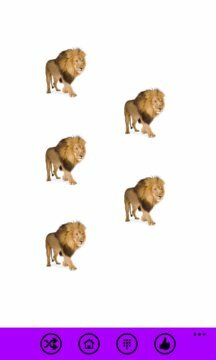 On selecting learn option, learning starts with voice saying "Can you count number of........?" or "Count number of....". 2. On each touch the object turns black and white so that toddler doesn't touch it again. 3. As soon as toddler touches the object digit count voices comes out. 4. When the count of all the object in particular screen completes, Mother's voice gives appreciation like "Well done...", "Awesome" etc which motivates the toddler to learn more. 5. On selecting Write from menu option number appear on screen and toddler can practice writing of numbers. 6. Select number of toddler choice to count. Please leave your comment to improve the app.